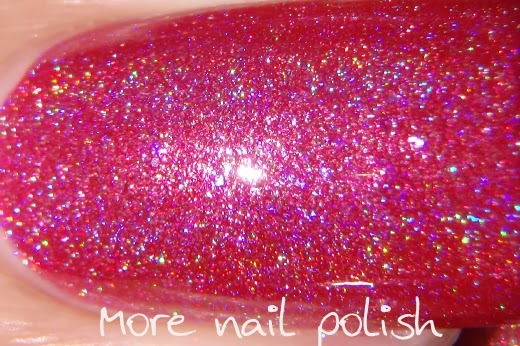 I received a package a few days before Christmas with a bunch of stunning Girly Bit's polishes in it. 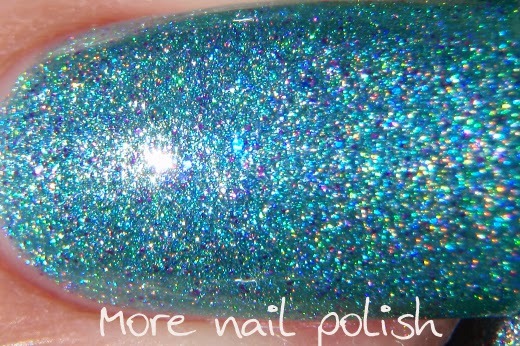 The package arrived just in time for me to spot a polish that would make my top polishes for the year, and also allow me to wear it to my work Christmas Party. 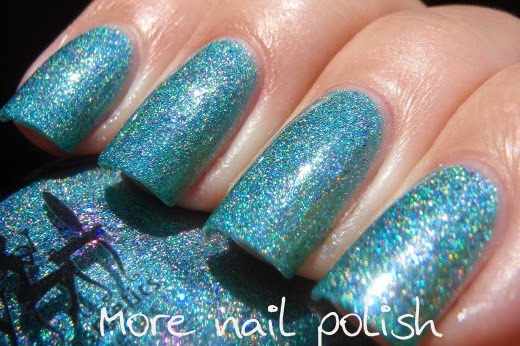 But you will have to wait until the end of the post to see that polish. 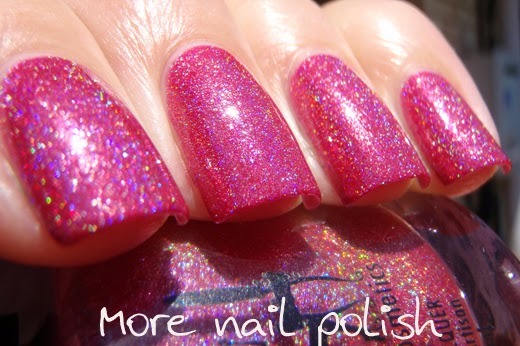 Crantini - a very bright hot pink with a rich holographic flame. Great coverage and formula and such an intense colour. This was two coats with Seche Vite top coat. 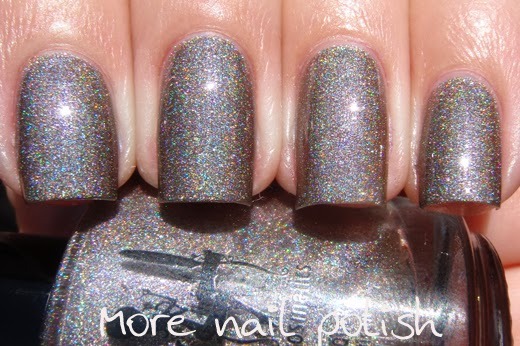 Dash Away All - This one is a beauty, it a cross between a grey and a light brown/tan holographic. Looking straight on it looks much greyer, but when you get it in artificial light or on the side where you see the holo flame more, the polish warms up and looks taupe. There is also a lavender sheen too. This was two coats with Seche Vite top coat. 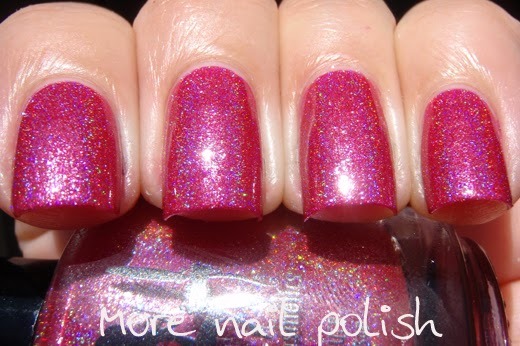 Get Weaponized - this polish was created by Pam for the two year anniversary of the Nail Polish Wars blog. 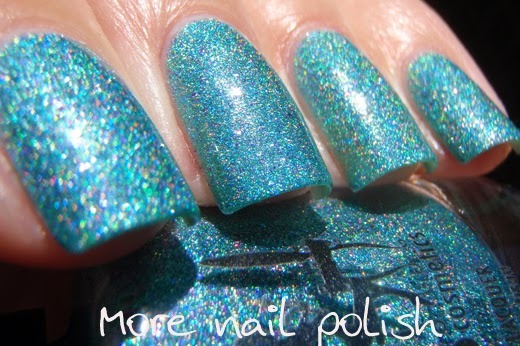 Get Weaponized is a bright aqua blue polish with a holographic shimmer and flecks of iridescent purple and magenta. The extra colours in this make it much more interesting in low light and give it an extra dimension of sparkle in the sun. This was two coats with Seche Vite top coat. 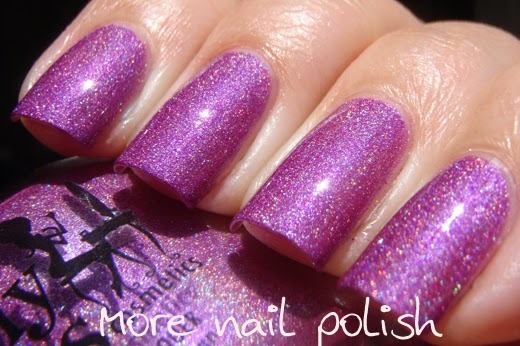 Ho Ho Hope - is a violet magenta shade with a subtle holographic sheen. This was two coats with Seche Vite top coat. 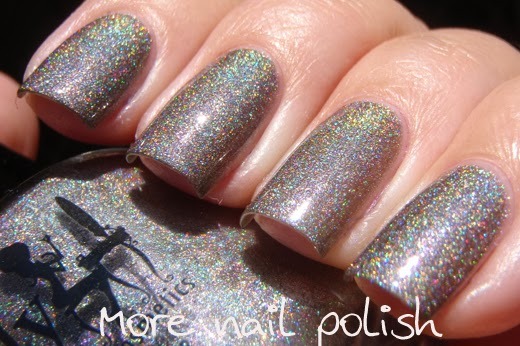 Belly Jeans - With it's clever spoonerism name, Belly Jeans is a holographic multichrome. 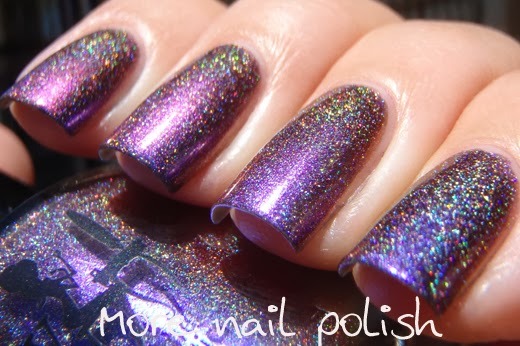 The are lots and lots of holographic multichromes on the market these days, lots of indie brands are making them. I'm very fond of all of them and they hold a special place in my heart. Why? because I feel in a little way they are all my children. 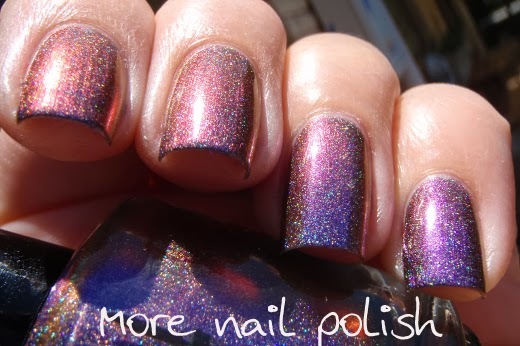 You see back before all the indie brands made holo multichromes, before Enchanted Polish made the Beatles collection, even before Ozotic made the first holo multichrome range with the Mish Mash polishes, I created one. It was July 2011. With that said, Belly Jeans is beautifully done. 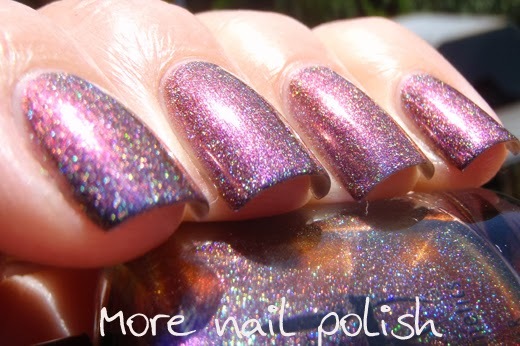 The multichrome shifts from deep royal purple, to violet, red and gold. 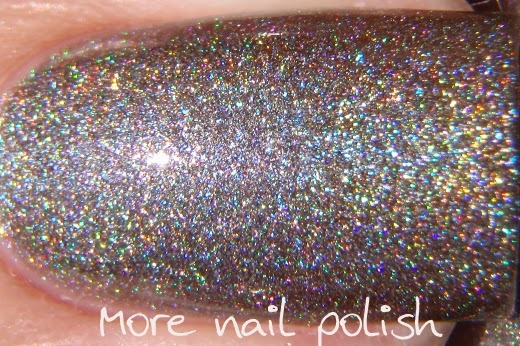 What I love about this polish, and the new wave of holo multichromes, is that they don't have to be layered over black. This was two coats with Seche Vite top coat. 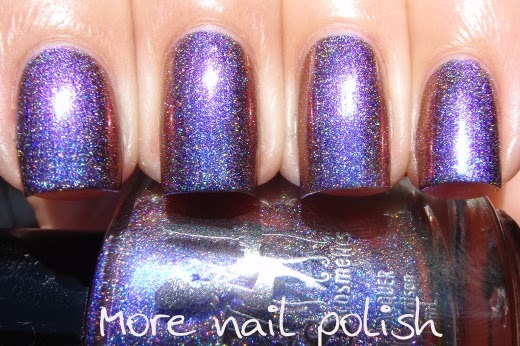 A Stripper has been sleeping in my bed - This is the polish that captured my heart. It was created for the two year anniversary of Girly Bits. 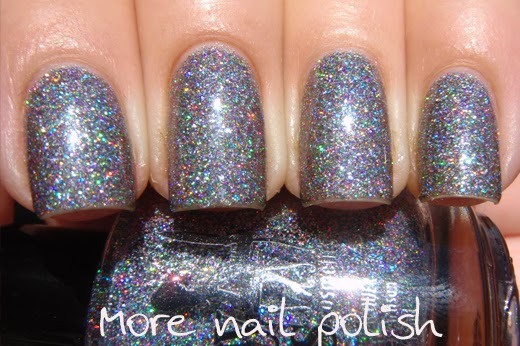 ASHBSIMB (longest polish name ever!) 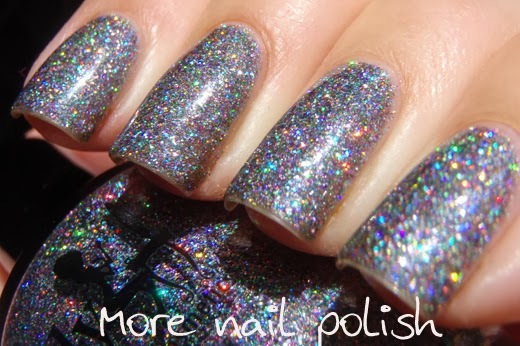 is clear-based sparkle explosion of holographic micro glitter. 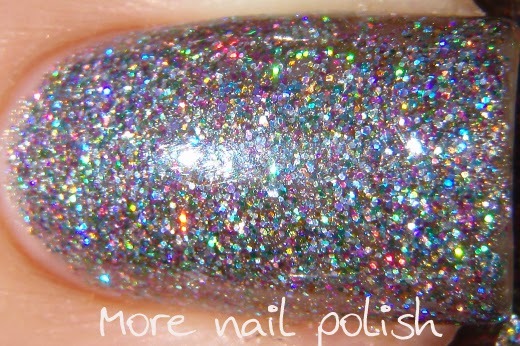 The hard part it trying to work out what colours are in there, because the holo sparkles make you see a whole rainbow. 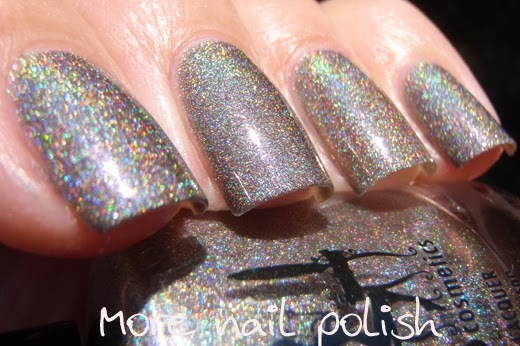 The overall look is a grey, but not in a silver holo glitter sort of way. 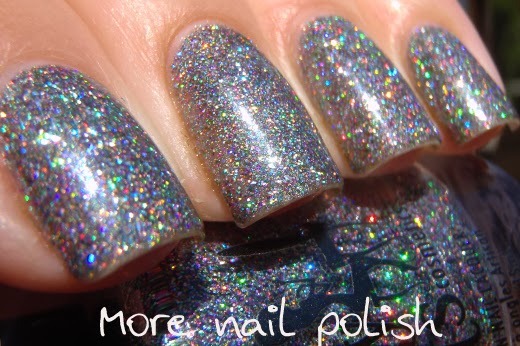 It really has to be seen in person to fully appreciate it's sparkle and colours. The Girly Bits store is closed right now, but it opens TOMORROW - 6 January 2014. Like their Facebook page to stay up to date with the latest news. 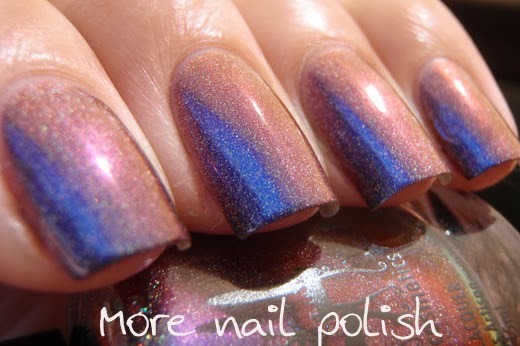 Oooo all so pretty, you always have amazing swatches. 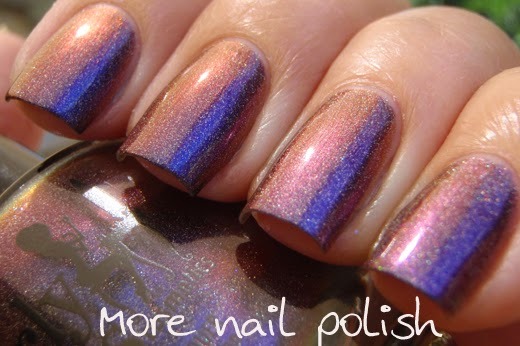 How fascinating that you came up with the multichrome/holographic polish way back then before anyone else. 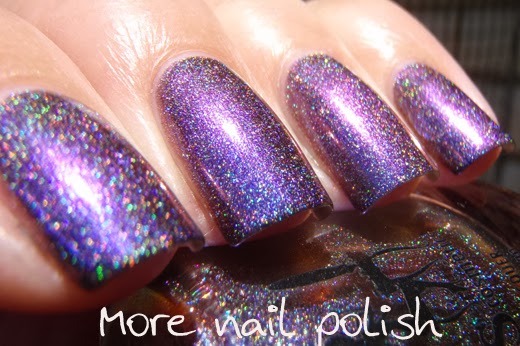 I'm amazed with all your product research and knowledge that you have never gone down the path of selling the polishes yourself. You have been a leader in that field for a very long time. I really like them all - they're gorgeous! 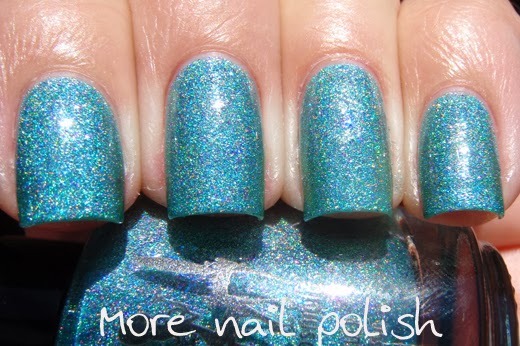 Cathy- I just LOVE seeing your swatches. Seriously stunning. I also thoroughly enjoy your write-ups.